The government has said it is committed to continue rolling out petrol that is unable to be sniffed, as part of a strategy to reduce the harm caused by petrol sniffing. Following a review of a the Low Aromatic Fuel Act 2013, the Minister for Indigenous Affairs Nigel Scullion said the review had drawn positive findings. “Replacing regular unleaded petrol with low aromatic fuel in and around regions where there is a risk of petrol sniffing is a proven strategy to reduce petrol sniffing,” Minister Scullion said. 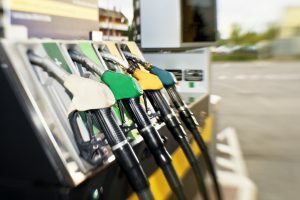 According to the Western Advocate the review included consultations and submissions from Indigenous and Torres Strait Islander communities, as well as fuel manufacturers and outlets. “Petrol sniffing has been a source of illness, death and social dysfunction in Indigenous communities over the past few decades,” Minister Scullion said. “The recent voluntary conversion by the Marla Travellers Rest outlet and Cadney Park Roadhouse in South Australia demonstrates the willingness of petrol station owners to combat petrol sniffing. Low aromatic fuel is now available in 175 locations across QLD, WA, SA and the NT. “The replacement of regular unleaded petrol with low aromatic fuel has been shown to reduce petrol sniffing by up to 88 per cent since 2005-2007,” Minister Scullion said.